Last night I watched an episode of Insane Pools, which I had taped on my DVR. 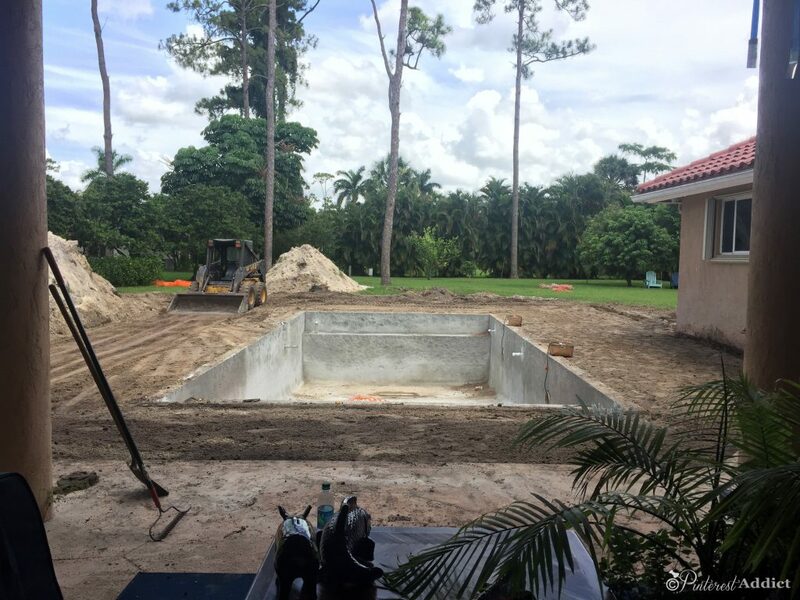 In that episode, the home owners spent $165,000 on building a pool (well, refurbishing their existing pool) and installing a koi pond. It turned out great, despite the builders seeming like they were bumbling dimwits a few times. Obviously, they know what they are doing, because in the matter of 30 minutes, it was planned/demolished/reconstructed. It was like magic. In real life, it doesn’t happen that fast (obviously) but if you are lucky, it happens in about 8 weeks. Well, a regular pool build anyway. Our pool measures 36’x 16′, slightly longer and wider than standard, with a salt water system and a pool wide sun shelf. Our deck, which is about 1000 feet, was included in that price also. We chose not to get a spa in this pool, because we never used it in the last pool (and it added about $3000 to the price). The $35K did not including fixing the irrigation, replacing sod, installing a fence, the required landscaping by the city or any of the other changes we made along the way. I will share more information on those costs tomorrow. 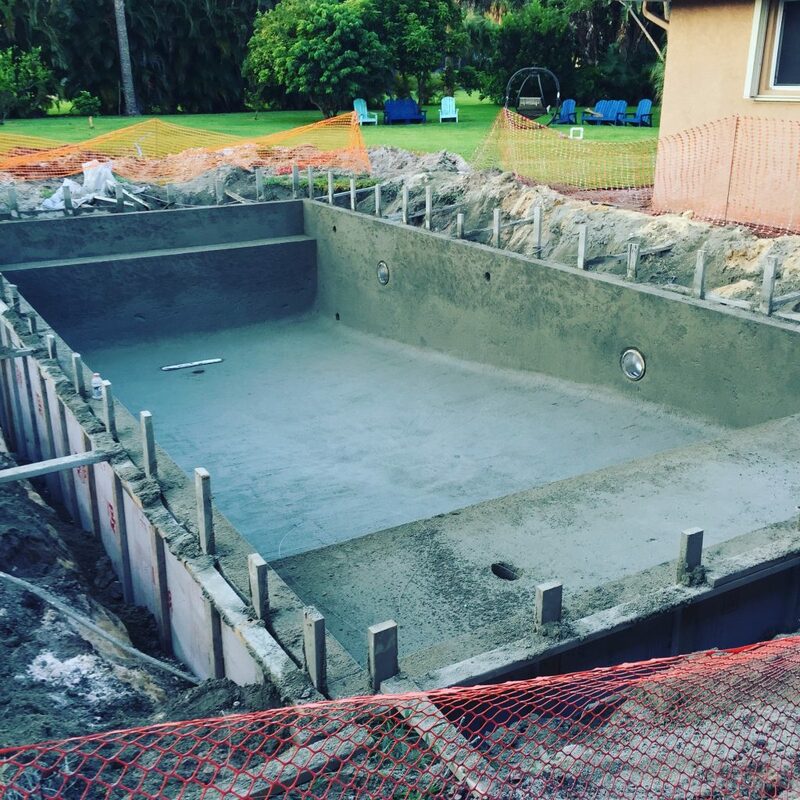 If you’ve been following me on Instagram, you’ve seen the progress pictures of the pool. 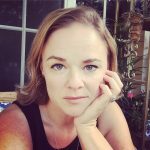 I’ll share some of them here here too, and do my best to give a breakdown of how long it took for each step. This is what our yard looked like when we moved in. Do you see the chicken wire fence covered in vines? It cut through the middle of the yard, not going all the way back to the property lines. We kept that up until we started the pool so the dogs would have a place to go potty. It was amazing how humongous our yard looked once it was down. All those plants that were right next to the patio were like heaven on earth for every mosquito in the land. We couldn’t even go out back until we took them out a few months after we lived in the house, or we’d be eaten alive. 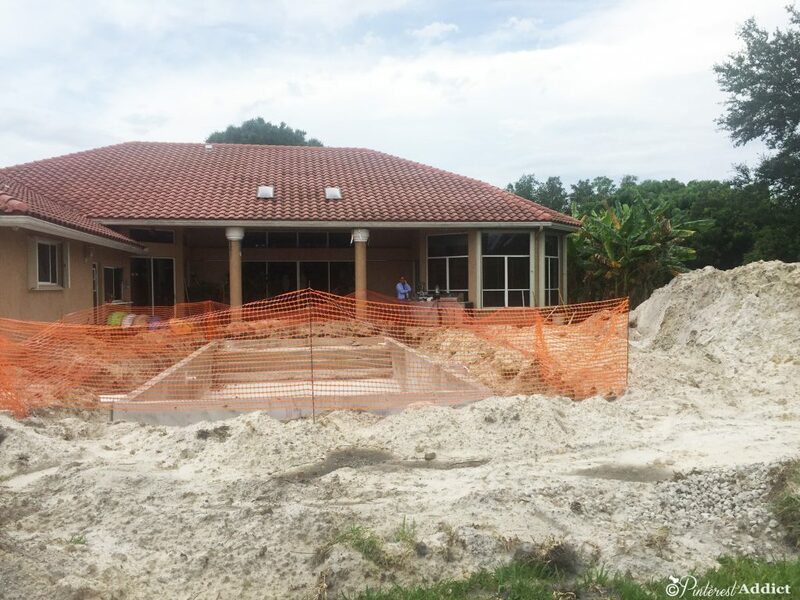 After meeting with a few pool contractors, we decided to go with Treasure Pools again. They had built our last two pools for us, and although no company is perfect, these guys are pretty close and have it down to a science. 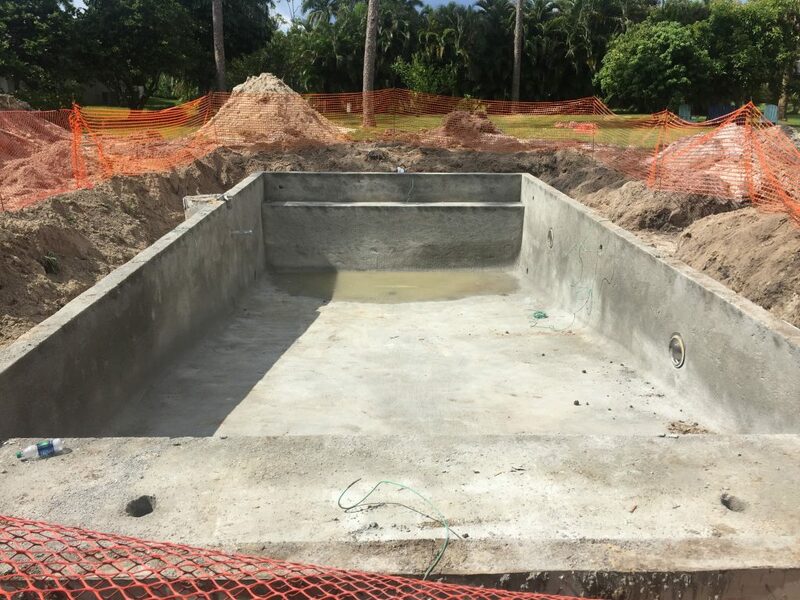 We always felt like we hit the pool company jackpot because they build a great pool in an excellent time frame – 7 weeks, start to finish, for the first two pools they built for us. That’s practically unheard of around here. Everyone we meet hates their pool contractor, so we felt really lucky to have found them. 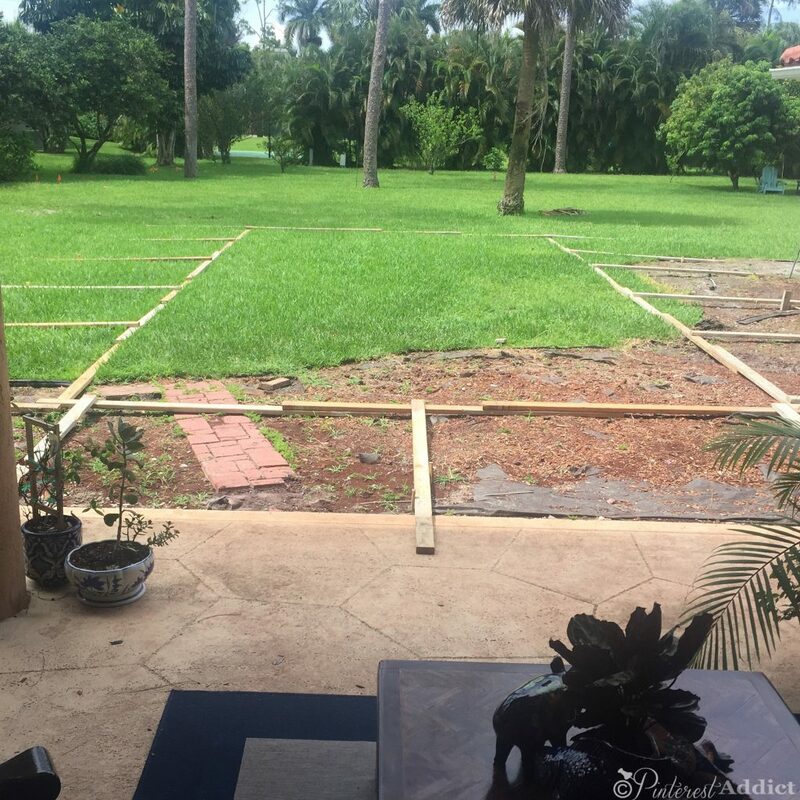 After the plans were drawn up and permits issued, the first real day of work consisted of them coming to take down the little fence, and lay out the shape of the pool with wood boards. Looks super technical, huh? But it’s amazing how something so simple was the foundation for everything to come. 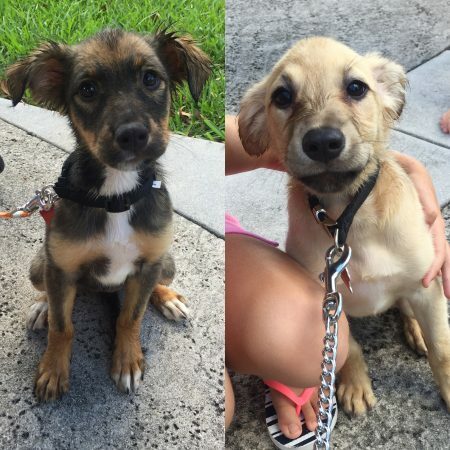 Look at those faces – totally worth every single minute spent walking them! The next workday they removed a tree and dug out the pool. Looks huge doesn’t it? They dig it larger than the frame so they have room to put the plumbing pipe, etc. 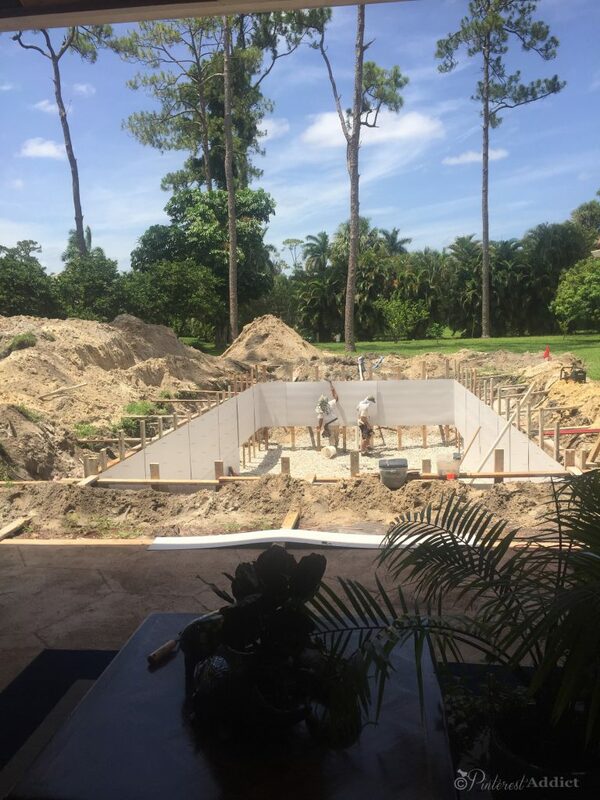 They also started to frame out the pool. 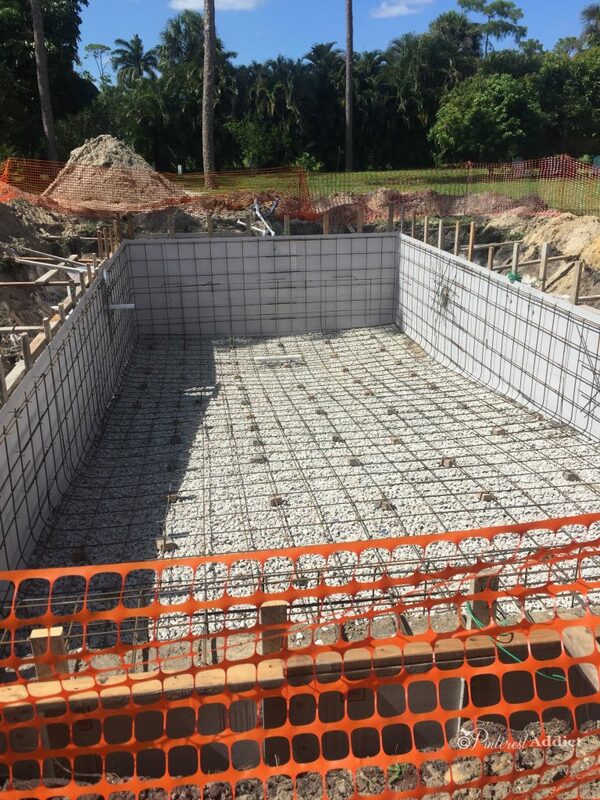 After it was all dug out, and the excess dirt was hauled away, they framed out the pool using 2×4’s, some backer board framing for pool steel, and rebar. It took about two days to finish digging out the hole and framing everything. When the frame was completely done, rock was added to the base and we were ready for inspection. 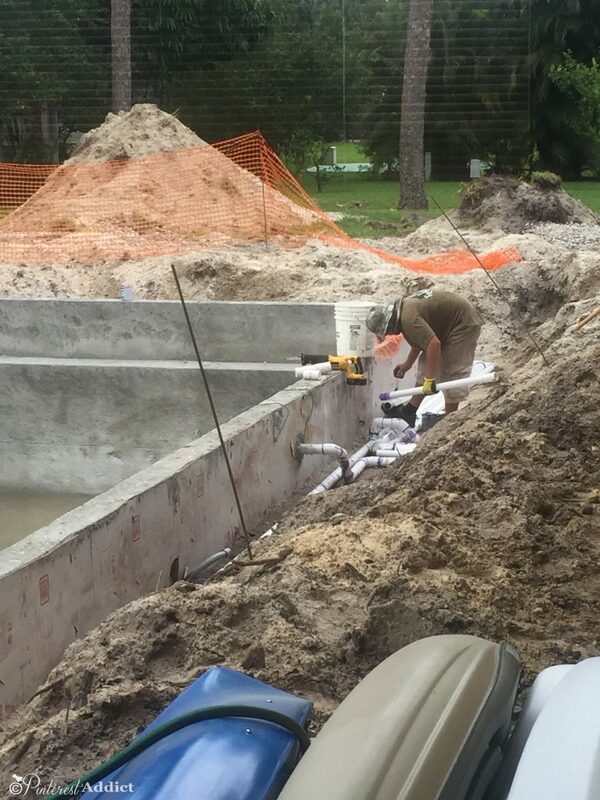 Inspections are usually what hold up pool construction. We are lucky that our city moves pretty quickly to get inspections done, so it doesn’t delay the process too much. They called in the inspection, it was done the next day, and we were ready to go for the next step. Look! 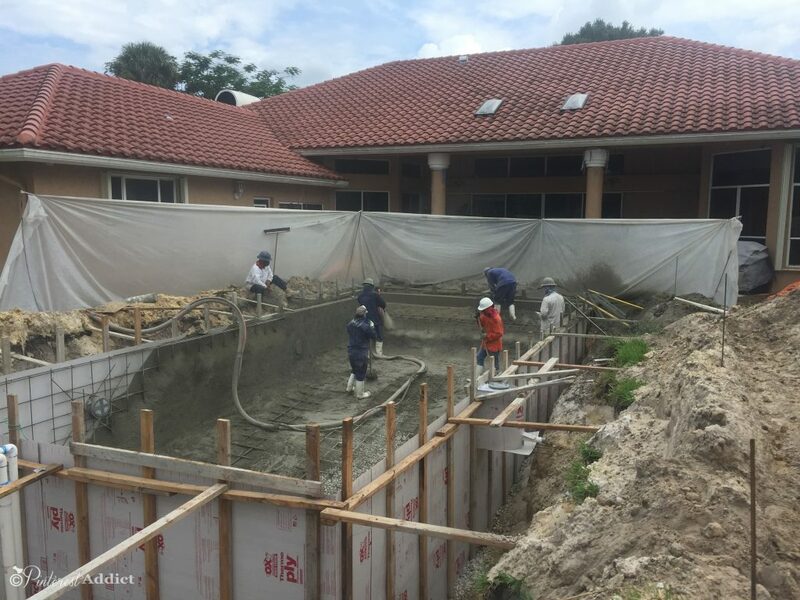 It’s a cement pond! A day or so later, they came and removed the supporting 2×4’s and cleaned up a bit of the shell. 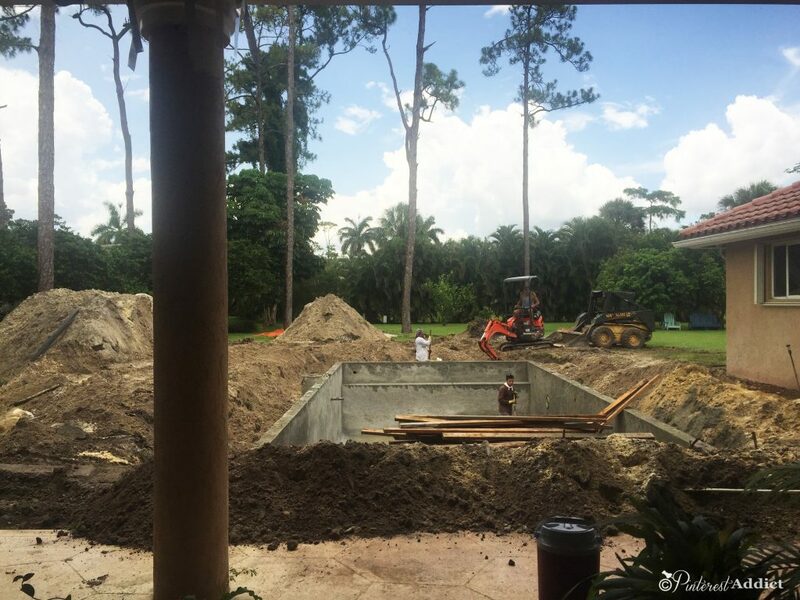 Then they backfilled the space around the pool with dirt, not all the way, but high enough to put the plumbing pipes in. By the end of that day, things were looking a little less messy. It always surprises me how fast these first steps go. I think the total time frame from start to this point was only 9 days. In the meantime, we were still looking at piles of dirt and major mess. 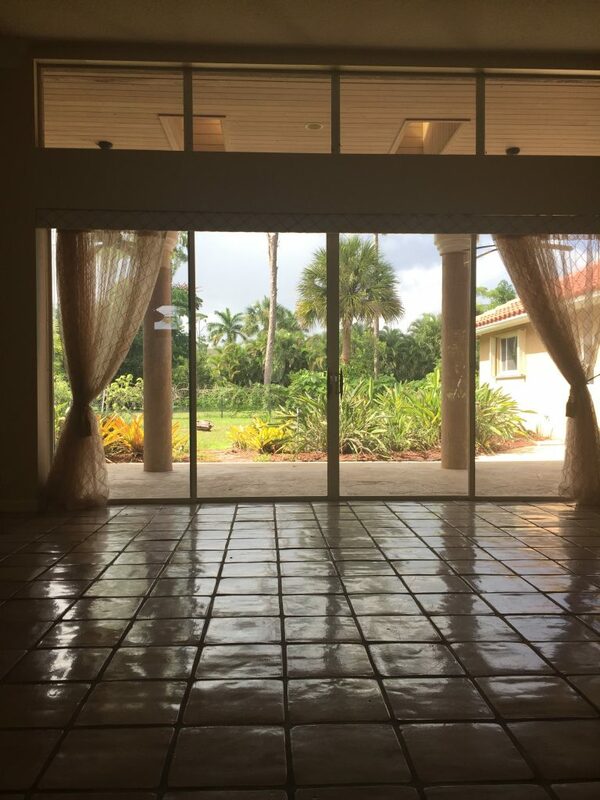 After the plumbing was inspected, the electric was run to the lights, and the equipotential bonding was run around the pool to keep you from getting shocked. 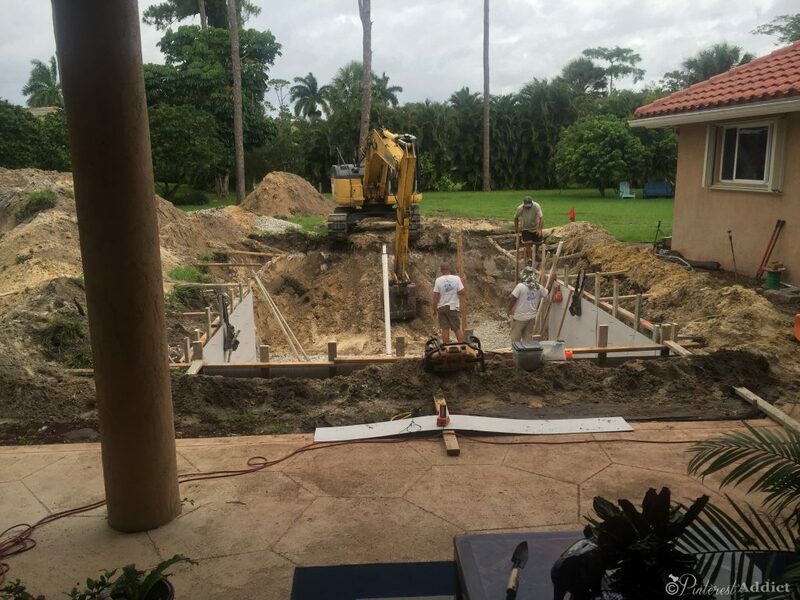 Then, they came back and filled in the area around the pool and leveled out the ground somewhat.